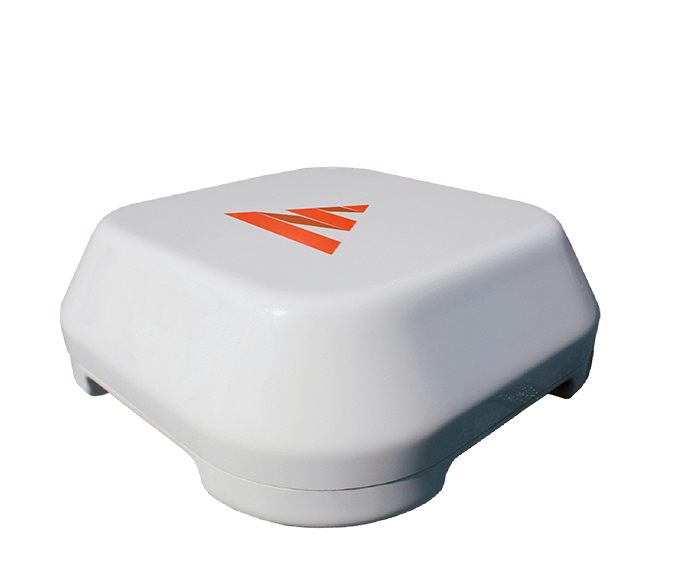 Change the way you deliver remote synchronized multi-camera sports coverage with simple, portable cost-effective solutions using bonded unmanaged IP networks. 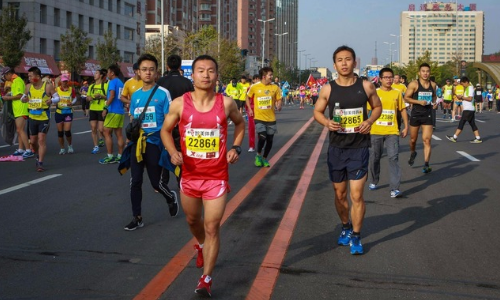 Delivering engaging sport contents is key to keeping audiences tuned in for many medias. 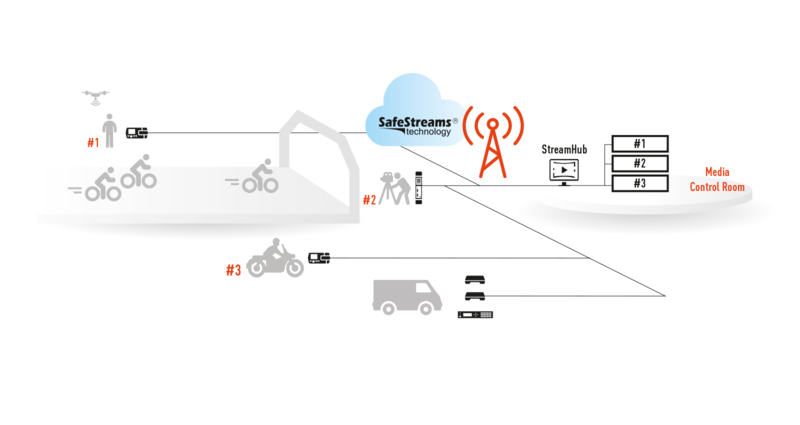 Whatever the live content is, from press conferences and interviews to entire cycling race coverages from the back of motorcycles, in-depth sporting event coverage is often a challenging technical assignments for any production crew. 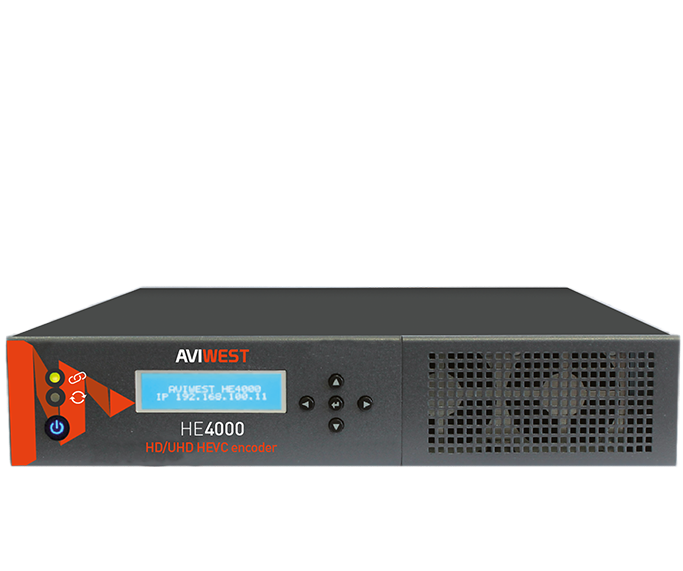 Our product ecosystem integrating our powerful patented IP bonding stack assures the delivery of live SD, HD and 4K contents even over fluctuating networks. It enables you to provide seamless synchronized multi-camera live sport coverage, unfiltered look inside competitions and exclusive video content from any location around the world. 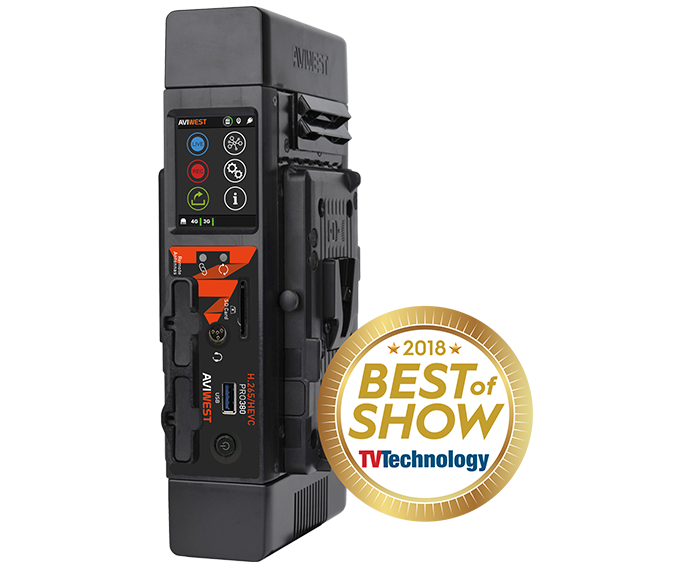 The versatility and the flexibility of our video encoders and lightweight transmitters give you the possibility to meet your craziest production ideas while lowering your production costs. AVIWEST system not only delivered a solid feed during the women’s wheelchair race, but its command-and-control capabilities gave us far more control over the video than we’ve had with some other systems we’ve used. Our technicians were happy with how it performed and found it to be a valuable production tool. 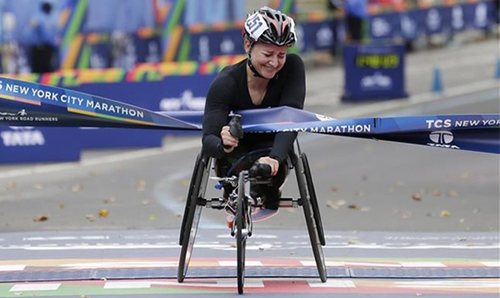 PRO180 bonded cellular system reliably provided live broadcast coverage of the women's wheelchair race during the New York City Marathon. 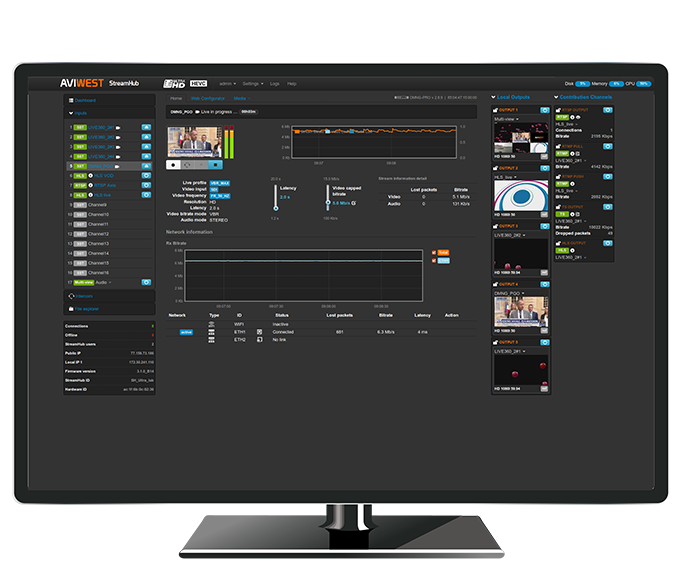 AVIWEST’s PRO180-RA solution provided CCTV with a portable, cost-effective, and reliable transmission method for delivering high-definition footage. Our products are available for sale and also available to rent. For a price quote, a demo request or any pre-sales question please contact us or get in touch with your local reseller. Sign up below by entering your email address to stay informed on our latest products and solutions, technical trends, upcoming events and more latest news!